THE first week in April marks the anniversary of one of the most notable events in Australian transport history. 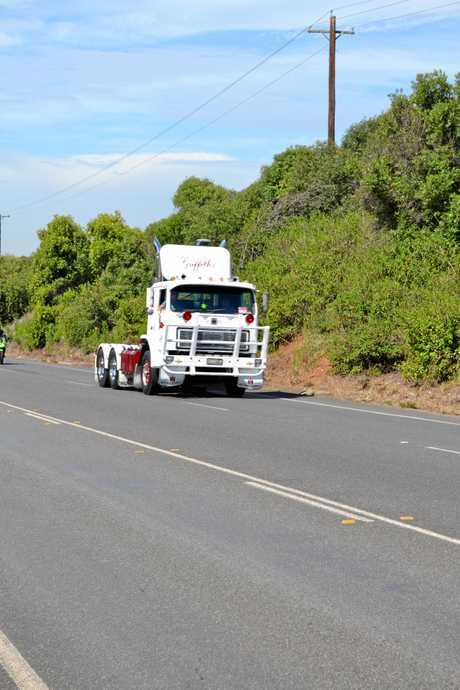 On April 2, 1979 a group of trucks parked at the top of Razorback Ridge, the main thoroughfare from Melbourne to Sydney. Over the next eight days, joined by fellow truckers blockading all over the country, the group of five men put forward ideas that were discussed all the way up to the prime minister's office. 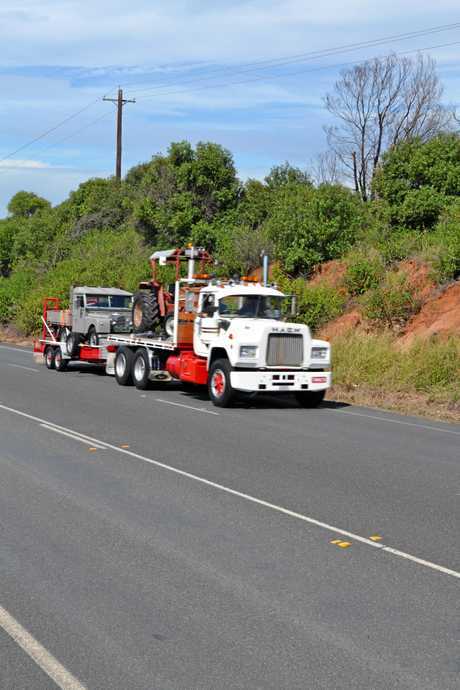 This year marks 40 years since the Razorback Blockade, four decades since truckers took it upon themselves to show what they are capable of when they work together. 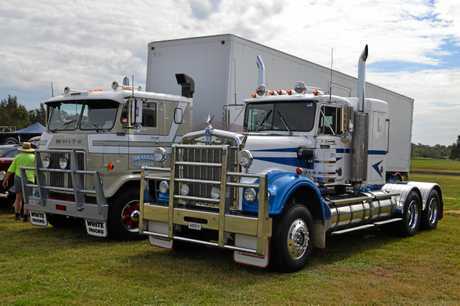 To honour this turbulent time in transport history, the organisers of the bi-annual Haulin' the Hume run decided to add a Razorback aspect to the weekend, with a cruise out to the Razorback Memorial site. Haulin' the Hume honours those who came before us, and is a chance to blow the dust out of trucks that are 30-plus years old on the freeway from Camden down to Yass. 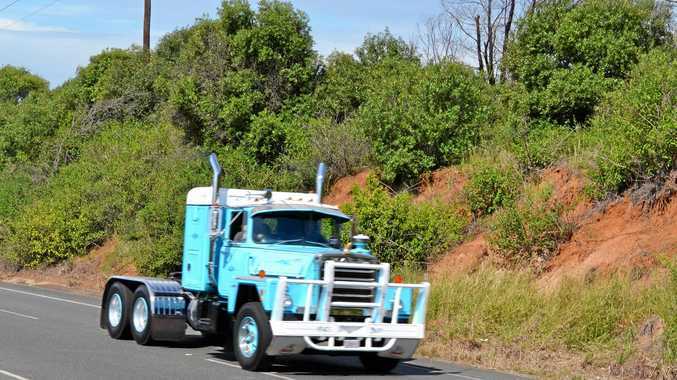 A convoy of 288 trucks made their way out the camp grounds at Camden, the clatter of mechanical fuel pumps and smoke in the air as they made their way around the Wollondilly region, taking the long way around to reach the top of Razorback. At the top of the mountain, Big Rigs caught up with original blockade member Spencer Watling. Although much time has passed since he was up here in 1979, Spencer is easily recognisable, a mountain of a man sporting the same mutton chop haircut as when he was in the news 40 years ago. "I didn't think we would make it past the first night, I thought we would be arrested. I knew we were in for a fight though," he said. "I had already spent time in Boggo Road (jail) up in Brisbane for not paying the road tax, it was a different time. "Lots of young people today don't know how hard it was back then. Personally, I wanted to hold out for longer, I think we could have gotten more out of it." When asked about how it ended, Spencer remarked regretfully: "We met with (NSW Premier) Neville Wran at Camden Airport, and made a gentlemen's agreement that we would discuss it further, then he flew down to Melbourne and told everyone down there that we had given in". "Never trust a pollie's handshake, that's for sure." As for radio announcer John Laws, who took up arms as a supporter of the blockade? According to Spencer, he was "only in it for himself, he wanted the publicity but it wasn't helping us". "One night he promised us dinner, flew us into town on his helicopter and we ended up with soggy sandwiches. Laws only came along to promote, trying to be the big hero," he said. One of the driving forces behind this Razorback run was Trevor Ellwood. Convoy leader in his White 9000, Trevor said as Haulin' the Hume fell in the first week of April, they should do something in time the anniversary. "My wife and I recce'ed the course, while Bruce Gunter helped out with mapping," he said. "I am second-generation trucker, and although I am too young to remember it, I grew up listening to the stories of it. "Whether you agreed or not with what they did, it showed that everyone standing together could make a difference." The weekend itself brought so many interesting characters to the run, with some coming interstate to attend the run. One who only had to make a short journey was Camden local, Lionel Penberthy. At 81 years young, Lionel brought his 1948 Bedford truck, which has only travelled 4800 miles (8000km) since it left the factory. Lionel has been involved in the transport game since he was 15, working with his father under the RC Penberthy and Son banner. Leon pointed out how different the industry was back then, how the cement was all in bags, loaded by hand without any sort of respiratory protection. An event like this shows how trucking runs in the family for a lot of people. Four decades ago, five truck drivers decided to take a stand, in a move that still affects the industry today.